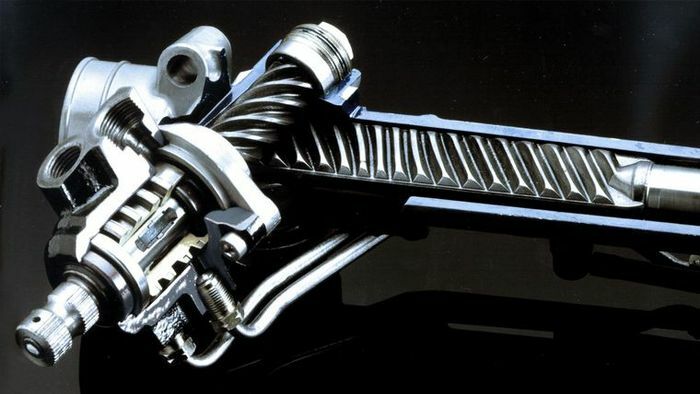 The chances are your car has rack and pinion steering. It’s been an incredibly popular engineering choice for years, but have you ever stopped to ponder exactly how it works? Thankfully, the basics aren’t hard to grasp at all: it’s all about turning rotational motion into linear. When you turn the steering wheel, this turns a steering column, which rotates the attached steering shaft and a worm gear known as the pinion. This gear sits on the ‘rack’, a length of metal with a series of teeth cut into it. 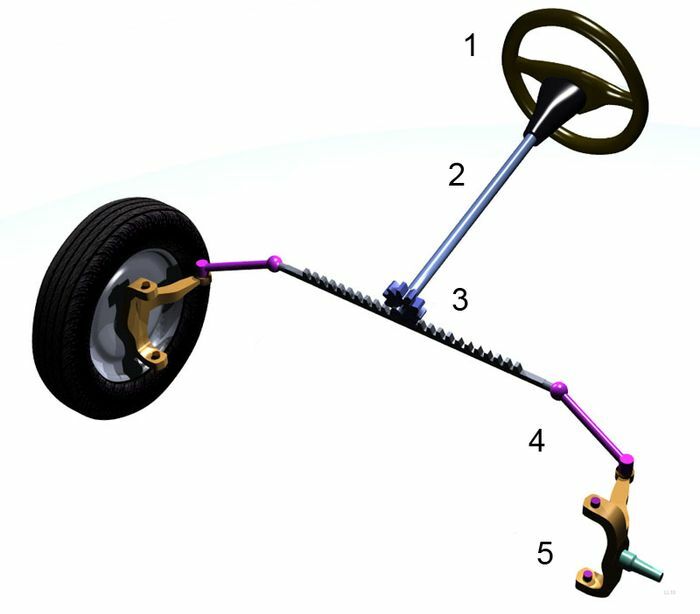 So as the pinion rotates, the rack moves either left or right, depending on your steering input. A tie rod links the rack to the kingpin, acting as the final piece of the puzzle. It’s a simple, effective design that doesn’t have the downsides of recirculating ball setups (they generally add more weight to the car, require more effort and often have a ‘dead spot’ in the middle), which these days tend to be reserved for larger vehicles. Power steering adds a device to one side of the rack with a hydraulically actuated piston inside. A rotary valve directs hydraulic fluid to either the right or left side of the piston - depending on the steering direction - which applies pressure on the piston and reducing the effort needed to move the rack. Electric power steering systems - which are slowly replacing hydraulic systems - replace the pump, valve and piston setup with motors. Steering ratio is dictated by the spacing of the rack’s teeth, although it is possible to vary the ratio. Some racks feature teeth that are closer to in the middle, spreading further apart along either side of the rack. 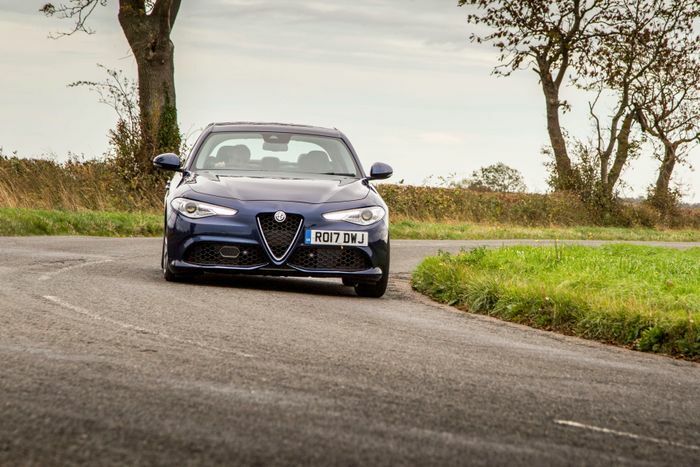 This keeps the steering around the centre point at a comfortable rate, becoming faster the more you turn the wheel. 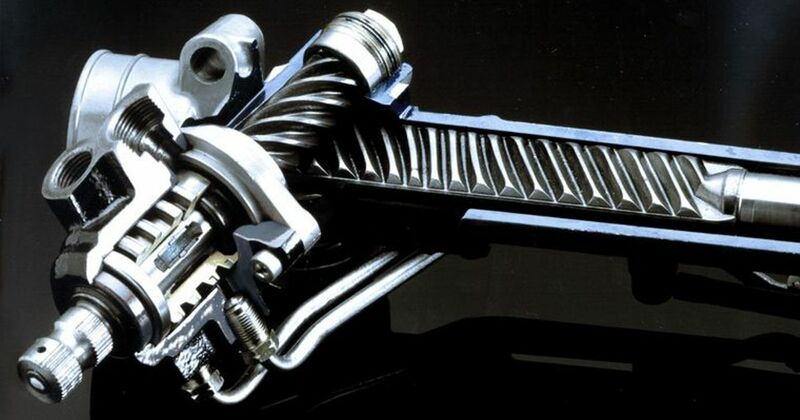 More complex mechanical variable ratio systems exist, adding in separate devices between the steering shaft and the pinion, with some active systems putting motors into the mix, allowing the ratio to be altered constantly. We’ll cover those another time. 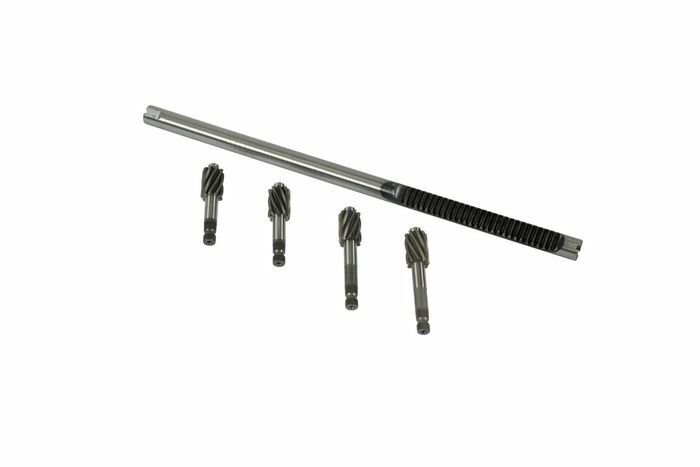 It is possible to upgrade rack and pinion steering setups, should you be wanting something more direct. OEM racks are sometimes interchangeable between different models, although as ESP systems are often linked with steering systems on newer cars, swapping won’t always be straightforward. Meanwhile, aftermarket racks from companies like Quaife and Bilstein are popular in the motorsport community, where the speed of stock steering often doesn’t cut it. The next time you turn a wheel in your car, you should now know what’s going on. This perhaps isn’t the sexiest area in car engineering, but we can all surely appreciate a simple but clever design - especially one that’s proven itself enough to become so widely used.